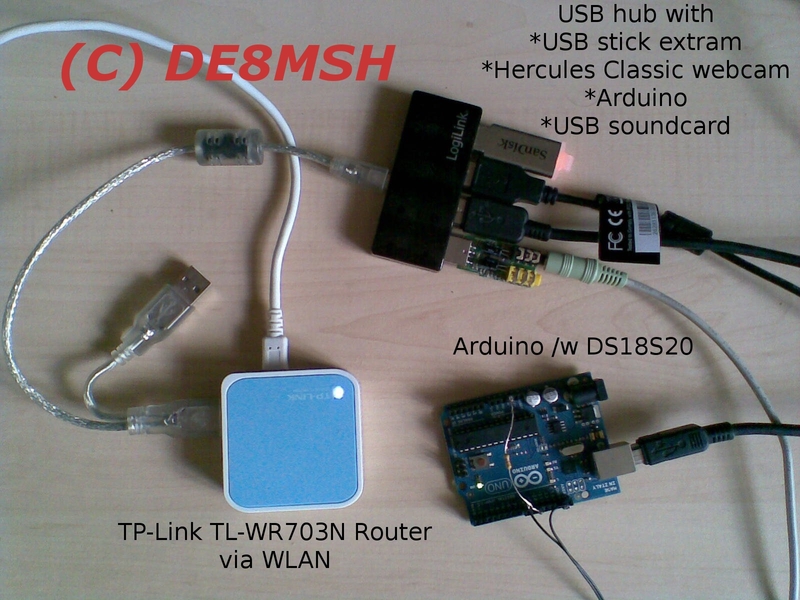 Every five minuets the Arduino sends temperature data via serial/USB to router. It gets the data and posts it to Xively (ex COSM ex Pachube ex ???). Furthermore it writes data to text file that a script reads out. Google Charts shows it then.